Retail Super Center belongs here. 24.45 acres 970 front feet. 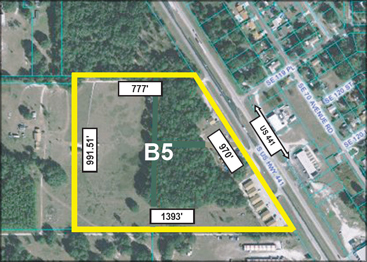 13 acres of B5 Commercial. Balance has commercial land use. Ideal for big box. Property being sold as land for development. Major crossroads between Baseline and new 484 junctions with US 441. Owners are selling the land and not showing the buildings or their income. Target buyer for shopping center, retail center. 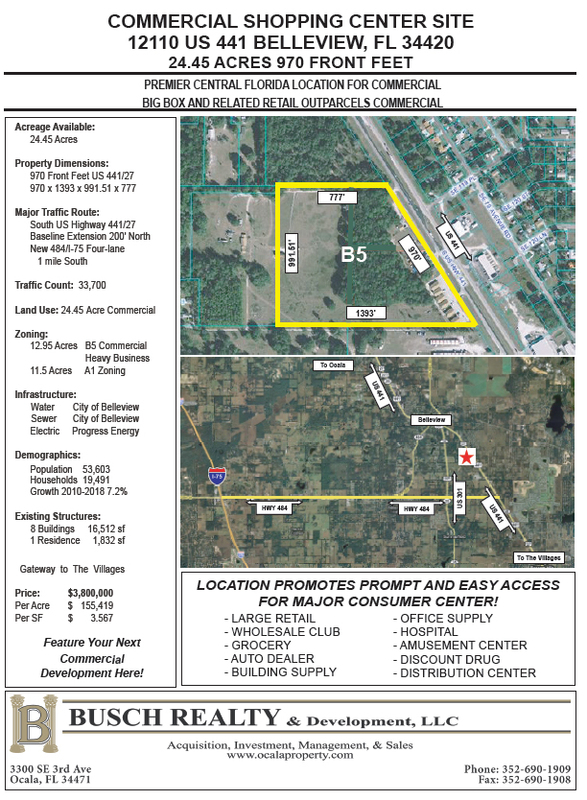 Great location north of NEW 484 between Belleview and The Villages.